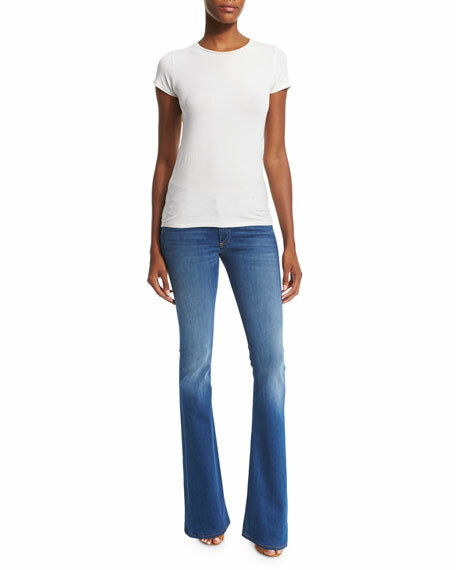 rag & bone/JEAN bell-bottom jeans in stretch-denim. Approx. measurements: 8" rise; 34" inseam; 42" outseam; 20" leg opening. Light fading and whiskering at front. 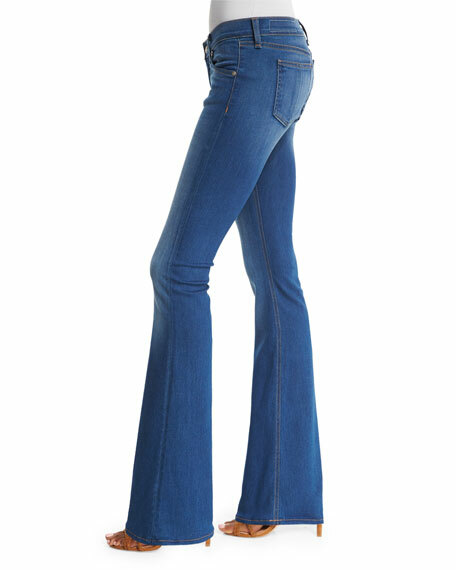 For in-store inquiries, use sku #1665406.